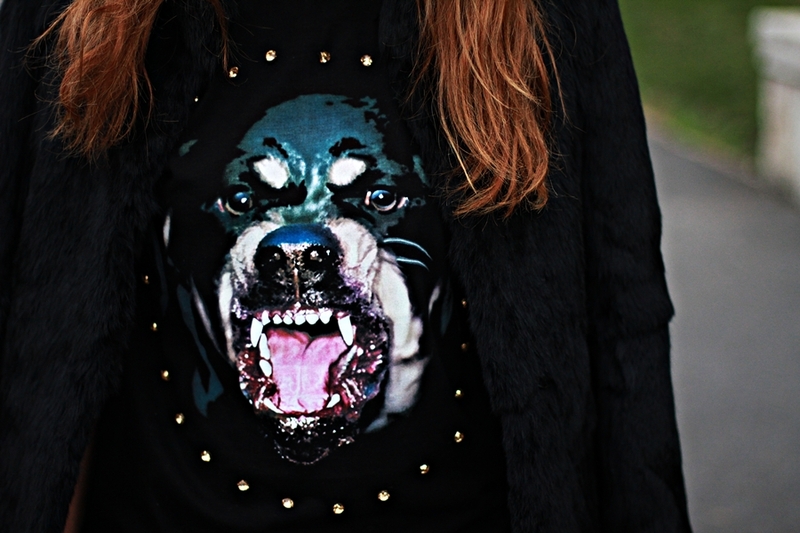 At last, the Givenchy barking dog tee is here! There was a dozen of combinations going through my head, and I decided to go with this one. WOW this outfit is amazing! I love your skirt and your bag ! Osobno, mislim da mi se ovaj tvoj outfit sviđa najviše od svih tvojih do sada. U know what?! now i want to get into zara and buy every single shoe. You look gorgeous! Love your whole outfit! Stunning and I am soooo jealous of your Givenchy top!!!! Those shoes are absolutely amazing! I also love the bag. Your shirt is AMAZING!!! LOVE! you look, pretty and fierce !!! you are so lovely, beautiful eyes !! This outfit is amazing ! Awesome combination, love your skirt! !